Mordheim: City of the Damned, the video game adaptation of Games Workshop's cult classic tabletop game, today welcomes its new playable warband! After seducing players worldwide with its brutal and unforgiving tactical combat, Mordheim gets a new playable faction - The Witch Hunters - which joins four existing ones: the Mercenaries, the Sisters of Sigmar, the Skaven and the Cult of the Possessed. 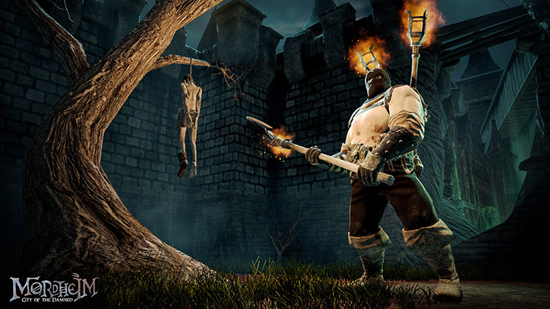 The Witch Hunters DLC is composed of lethal units such as the Witch Hunter Captain, the fanatic Flagellant and the Executioner. This faction will of course be playable in multiplayer, but will also offer a new and unique solo campaign scenario dedicated entirely to the Witch Hunters! Amid the rivalries and violence that splits the Empire, sinister forces creep back into the lands of men. Against these evils stand the Witch Hunters, remorseless warriors in service to the Temple of Sigmar. The witch practicing her fell magic, the mutant spreading its corruption of flesh, the necromancer violating the sanctity of the grave, the daemon seeking to possess souls - these are the foes of the Witch Hunter. The Witch Hunters will allow nothing to waver them in their defense of mankind against these evils. They are the Templars of Sigmar, and with sword and fire they will return their god's justice to Mordheim. Aside the release of the Witch Hunters DLC, Rogue Factor have continued working hard adding new content and fixes based on all the precious feedback and comments from the player community. 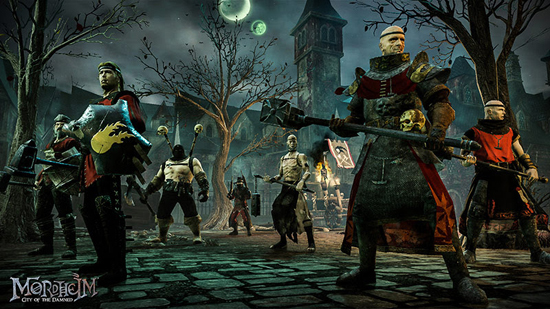 Mordheim: City of the Damned is the first video game adaptation of Games Workshop's cult classic Mordheim. Set in the Warhammer world's decimated Empire city, Mordheim: City of the Damned is a turn-based tactical game where you lead warbands into bloody and lethal skirmishes. The game blends RPG elements, fast-paced tactical combat and intricate unit customization in a time wrought by chaos and rivalry where only the strongest survive. Pick your warbands from iconic Mordheim factions - Sisters of Sigmar, Possessed, Skaven, Mercenaries from the Empire - and lead your troops to battle. Recruit new units, equip them with enhanced gear. Evolve and customize your warband with the experience gained from each successful mission, transforming them into a terrifying force on the battlefield. Recruit new mercenaries, develop their skills and upgrade their equipment to create the ultimate warband and make sure they survive!